In February 2013 we returned for our second winter trip to Yellowstone National Park. The first time we entered the park from the south and stayed at the Snow Lodge in the Old Faithful complex. 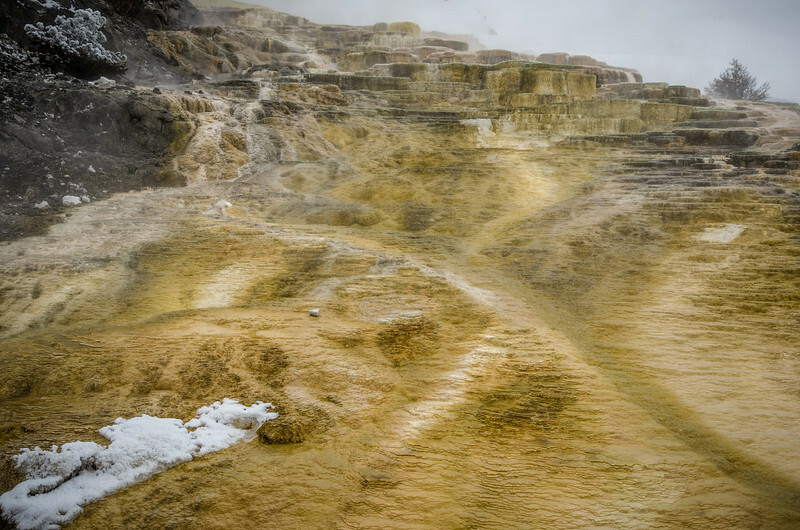 This time we entered from Bozeman, MT in the north and stayed at Mammoth Hot Springs. We took snow coach tours to Norris Geyser Basin and Canyon and Yellowstone Falls areas. We also took a snow coach to the Old Faithful area and spend one night in the Snow Lodge so that we could walk the trails and boardwalks through the geyser basin.